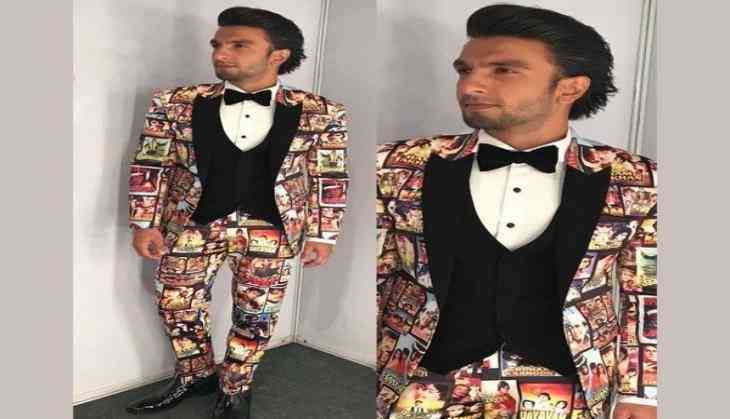 A night before the much controversial 'Padmaavat' hits the screens, Ranveer Singh shared an emotional message with the world, about the reviews the film is garnering. After watching the film at the special screening in Mumbai, all he had to say was, "I am so proud of my team. Team Padmaavat for the win!" The 32-years-old actor, who portrays Alauddin Khilji, took his social media handles to say, "I am relieved and happy with the reactions to my performance." Further thanking helmer Sanjay Leela Bhansali, who earlier gave Ranveer the characters like Ram in 'Ram Leela' and Bajirao in 'Bajirao Mastani', he said, "Sanjay Sir has given me a gift of a character that I will forever be indebted to him for in my role, more than I already am. You have shaped me into the artist that I am..."
Till now, the film has received good reactions from the critics, with special mention to the 'Gundey' star's portrayal of Alauddin Khilji. 'Padmaavat' also stars Deepika Padukone as Rani Padmini of Chittor and Shahid Kapoor as her husband Maharwal Ratan Singh. The film was earlier scheduled for a December release. But due to the much controversies and uproars by several Rajput groups natio0 wide, the release got delayed, with five modifications, as suggested by the censor board.